Illustrates the structure and classification of a lipoprotein. 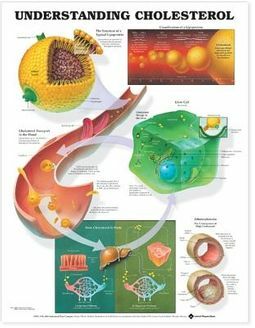 Shows cholesterol transport in the blood, how cholesterol is made and stored in the liver. Also shows atherosclerosis, the consequence of high cholesterol.